Good Morning ASW Readers!! I hope everyone is having a great week thus far. 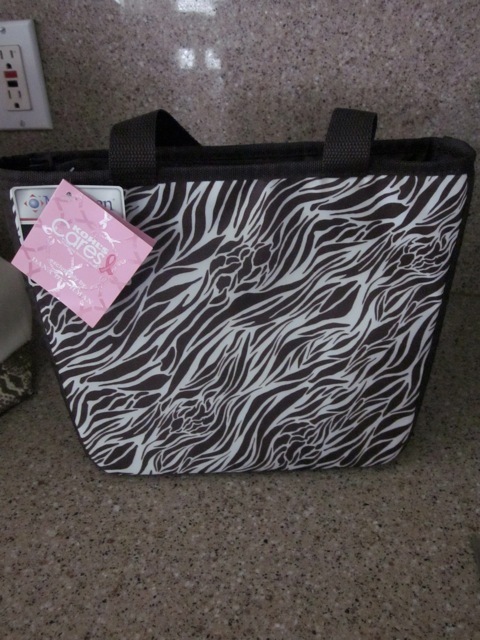 Today I would like to share with you all some items that the kind folks at Kohls sent me a few weeks ago to review. 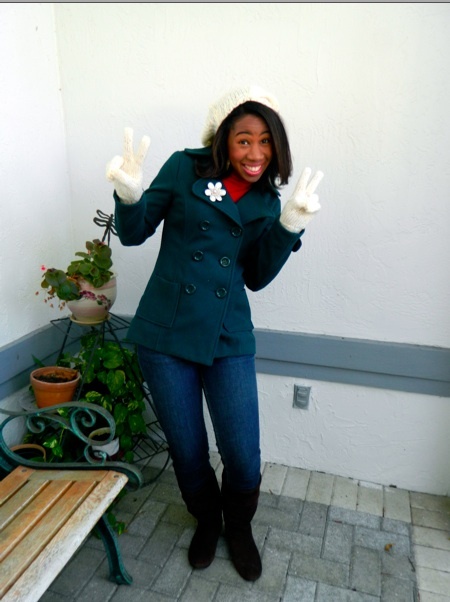 Since my younger sister was home for the Thanksgiving holiday I decided to style her and have her wear two of the three items that I received. 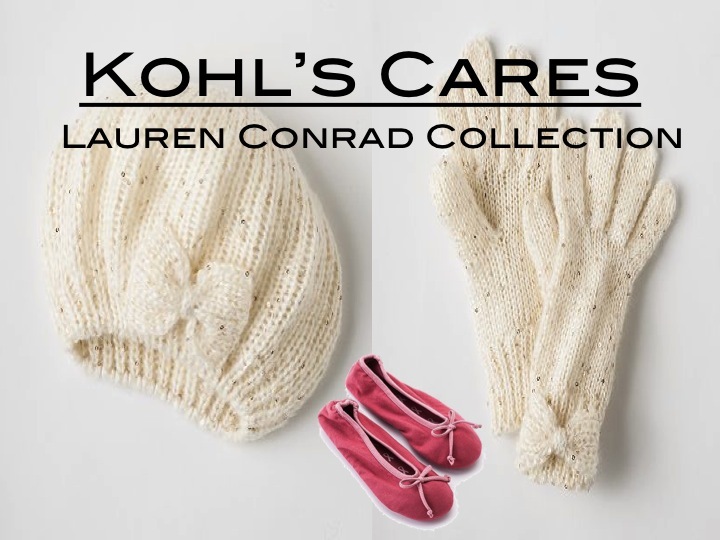 This Kohl’s Cares LC Lauren Conrad Sequin Bow Beret is perfect for the fall and winter seasons. Not only will this beret keep your head warm but it is quite stylish. 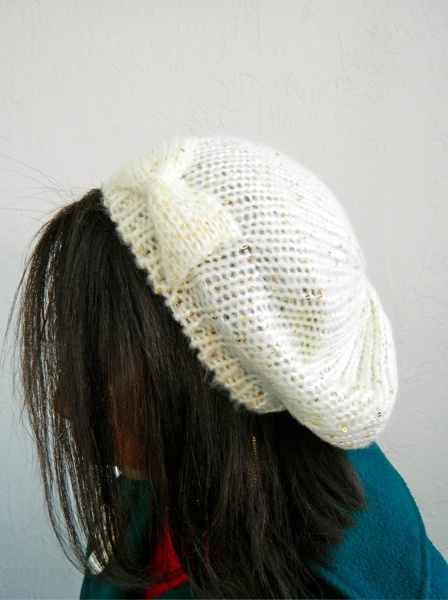 I love the sequin studs and the vanilla color of the beret. 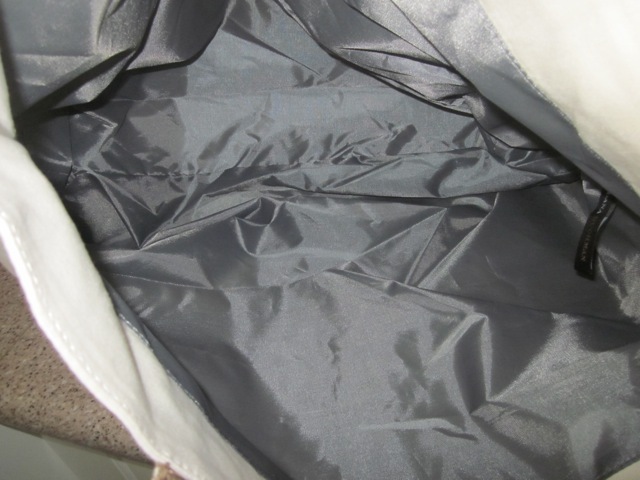 It can be cleaned by hand wash and is one size fit all. 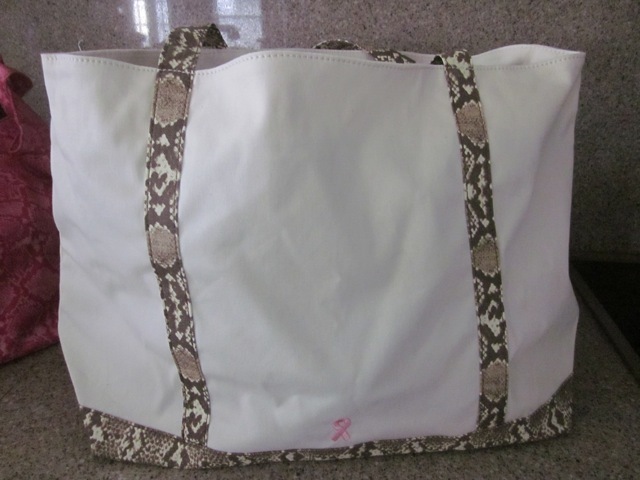 This item is priced at just $5.00! 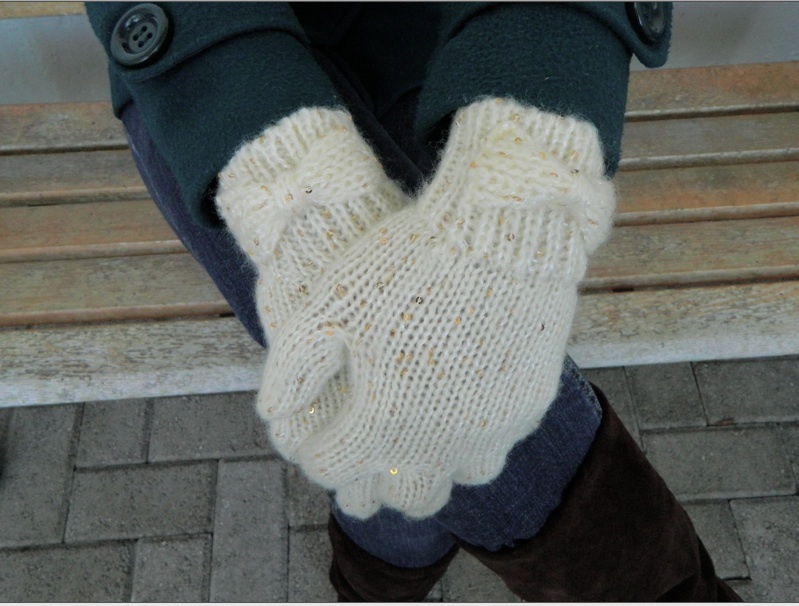 Next up are some of the cutest gloves that I have ever seen! 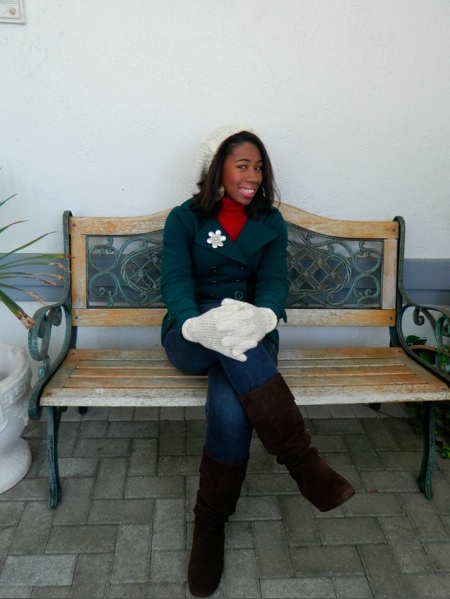 As you can see, the LC Lauren Conrad Sequin Bow Gloves match perfectly with the beret shown above. The gloves are flexible enough to fit almost anyone’s hands. Hand washing is recommended for cleaning the gloves as well. These are also priced at $5.00! The pink ballet slippers are comfortable and cozy for those extra cold nights. They are priced at $5.00 as well!! 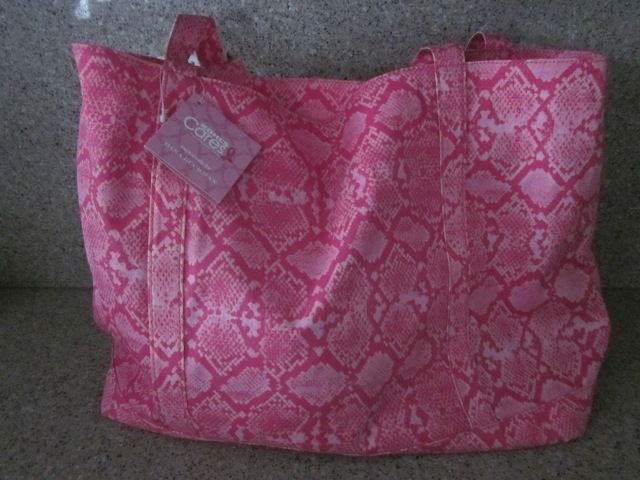 Click HERE to view more items from the Lauren Conrad Collection. 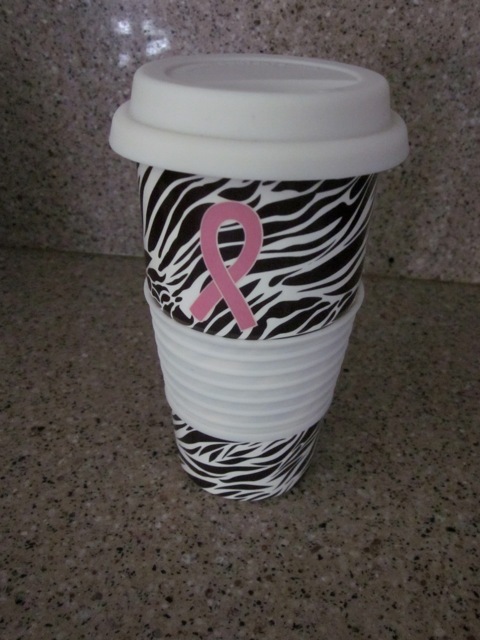 All items are under $10 with a 100 of the net profit donated to fight against breast cancer. The collection is available from October 29 through February 3 at Kohls 40 Wisconsin stores and online! Good Morning Lovelies!! We made it to Friday…Woot Woot! 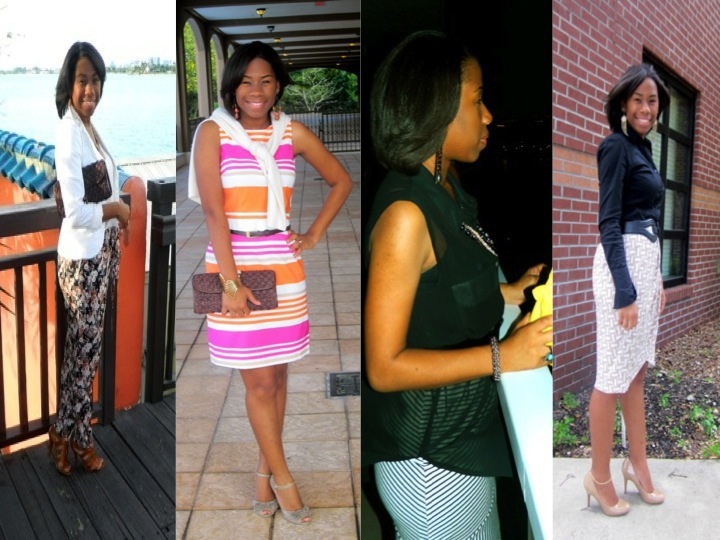 For the past couple of months, I have gotten emails and sweet comments about my hair care regimen. I thought it would only be right to share with you all the different products that I use that keeps my hair looking fabulous, if I must say so myself! So let’s get right to it! First up is my shampoo! When I tell people that I use Cream of Nature they automatically say that Cream of Nature is old school lol. Which it is because as a child I remember using it because that is what my mother purchased for my sister and I. At the time I didn’t have a say so on which shampoo and conditioner I’d like to use because I honestly didn’t care. Well, last year I focused a lot on reviving my hair. I started going to the hair salon regularly and also trying out different products on the days that I wasn’t able to see my beautician. 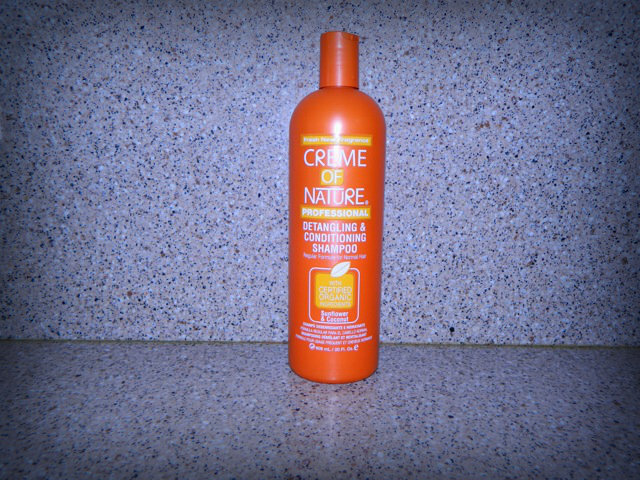 Last summer I was reunited with Cream of Nature’s Detangling & Conditioning Shampoo. I loved this shampoo because not only did it leave my hair smelling yummy but it is very soft of my hair and not hard like some shampoos. It also detangles my hair so I can actually run my fingers through it once it is time for rinsing. I usually try and do at least 2 to 3 washes with shampoo before I lather my hair up with the conditioner. Once I have finished shampooing my hair, I place a great amount of conditioner in my hair and sit with it in my hair for about 10 to 15 minutes. 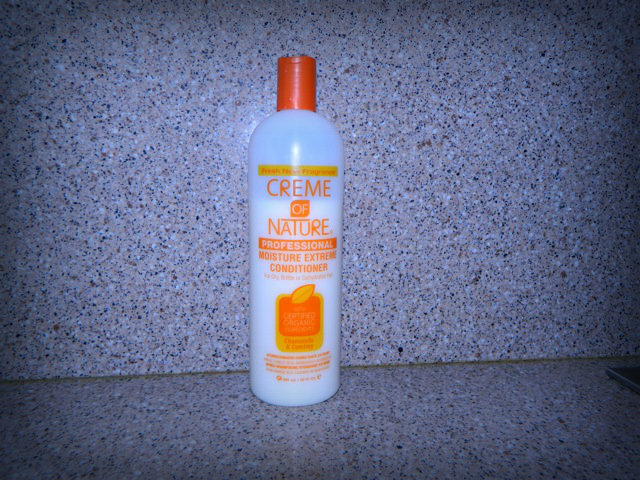 This Moisture Extreme Conditioner always leaves my hair feeling silky and light. Did I mention I love the way it smells? lol. Once the conditioner is rinsed out I always apply a small amount of oil to my damp hair and let it sit for about 5 minutes before I blow it out. 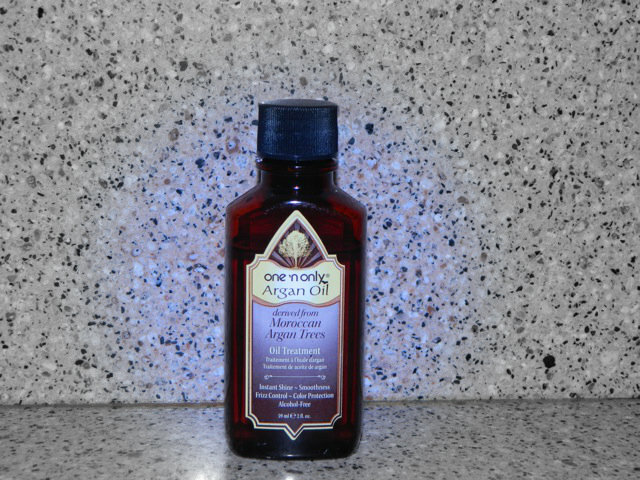 I have recently purchased this One n’ Only Argan Oil and I absolutely love it. It is very light and keeps my hair moisturized. Two weeks ago I attended an event in Miami, called Coils & Curls. 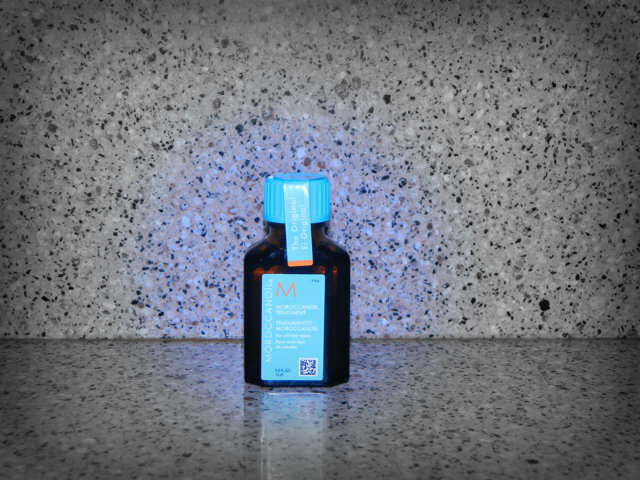 After the Moroccan Oil clinic that I attended at the event, each guest was given a goody bag and this Moroccan oil treatment was one of our gifts. I have been a fan of moroccan oil for a while but I can’t buy it often because it is quite expensive as many of you all already know. 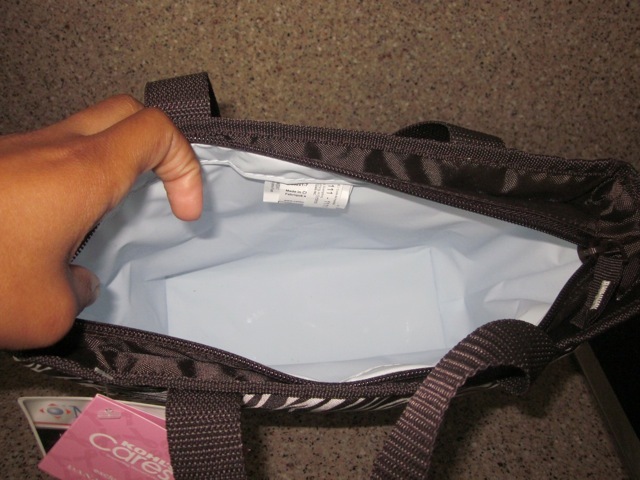 I used it last weekend and it is great as I expected. I am going to saver this bottle and try to use the argan oil as often as I can so the moroccan oil can hopefully last me for the remainder of the year. The only time that I have rollers in my hair is when I go to the salon. Mainly because I have tried to do them myself and I fail at it every time. So I make sure that when I flat iron my hair that I use a heat protector. 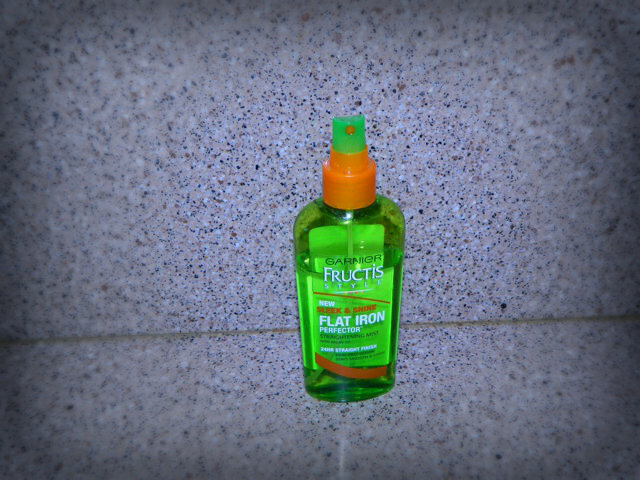 I picked up Garnier’s Fructis Style-Sleek & Shine Flat iron protector straightening mist with argan oil, a few months back and it works well for me. It is inexpensive and gets the job done. 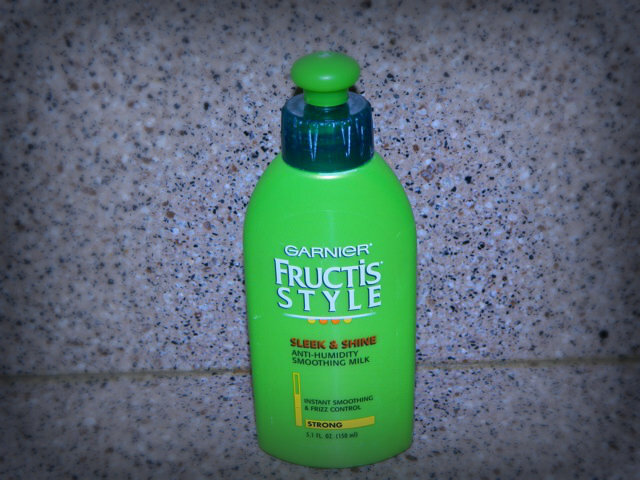 After my hair is flat ironed I apply the Garnier’s Fructis Style-Sleek & Shine anti humidity smoothing milk so that my hair doesn’t get too frizzy from South Florida’s climate. I would highly recommend only using a small amount of this product each time that you put it on so your hair doesn’t become sticky and dry. And there you have it ladies! 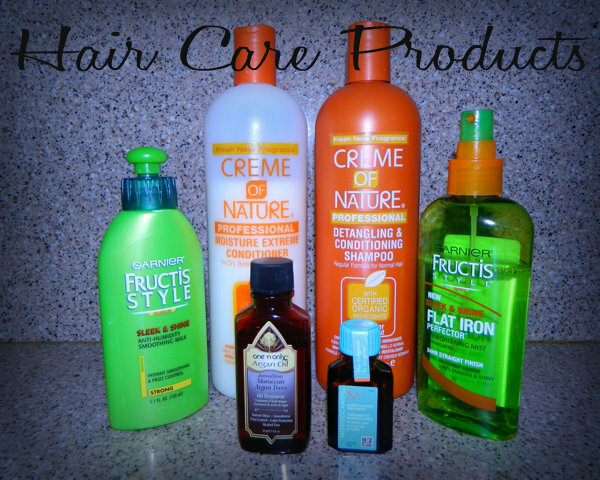 By using these products consistently I have been able to restore my hair. I also encourage you to try and make it to the hair salon at least once a month. I love doing my own hair but I also know that I need to have it treated on a regular basis and get my ends clipped every 6 to 8 weeks else my hair will break off. Lastly, to my ladies who are natural and like to straighten your hair sometimes, I think that you would enjoy using these products as well. I hope you all have a fantastic Friday and thanks for stopping by ✌. *Next Friday, we will get back to our regularly scheduled ASW’s Entrepreneur Spotlight. Good Morning Lovelies!! I hope everyone’s morning got off to a great start. This week is Teacher Appreciation Week so we were praised in an assembly for our hard work this morning! 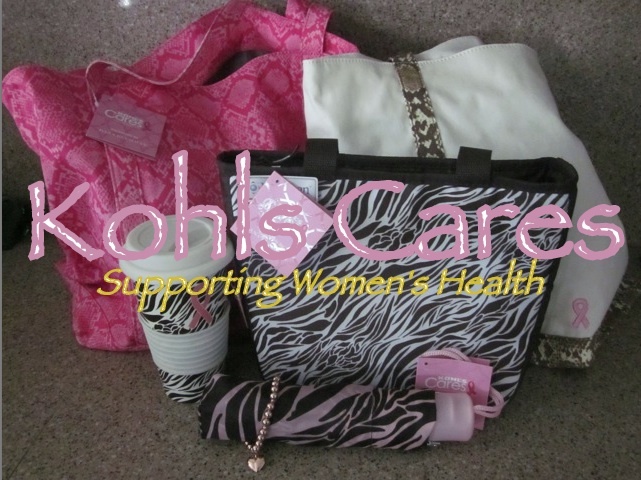 Anywho, as many of you all know last month I did a review post on Kohl’s Cares products. Well, this month I was sent a few items from the Fila Sport Performance Collection at Kohl’s. 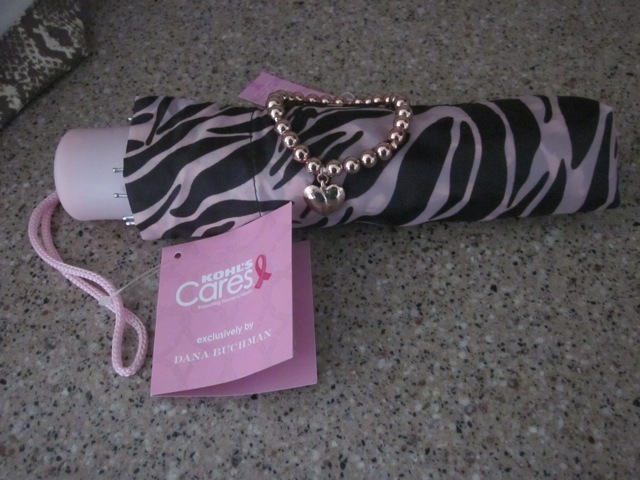 The items are of course geared towards Breast Cancer Awareness/Support and would come in handy when I exercise. Yesterday I went to the gym and I wore three out of the four items that I received. I absolutely love the shorts. They are comfortable and are great quality. I love the mixture of pink and black! These will be worn a lot. The heart tee shirt is sporty and chic. I like the way it fit and I am sure I will be able to get a lot of wear out of it. I also wore the racerback sports bra underneath my shirt and it was very comfortable. It wouldn’t be a bad idea to wear the sports bra with the shorts by itself since they both are a great match! Lastly, the headband will surely come in handy on those days when I need my hair to be up and out of my face. For those of you who run marathons this headband would be perfect for you. All of the items that I received were great and will be put to great use! In this day and age it is extremely important that we stay in shape and take care of ourselves. So why not exercise in style? 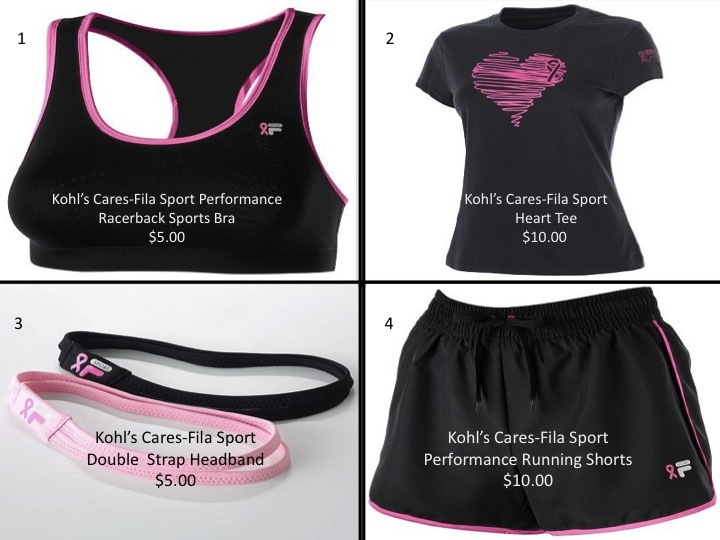 These items are available from April 30 through the end of July at Kohl’s 40 Wisconsin stores and online at WWW.Kohls.Com. With each item costing only $5 and $10 each, 100% of the net profit will go to supporting the fight against breast cancer!